Home >> Providers >> Khaja Ahmed, M.D. Dr. Khaja Ahmed joined North Atlanta Primary Care in 2019 and is seeing patients at our Johns Creek office. Dr. Ahmed was born and raised in Sylhet, Bangladesh. He received his undergraduate degree from Sylhet Government College, in Bangladesh. He attended medical school at Sylhet Osmani Medical College where he graduated with Best Medical Graduate Award. He completed his residency at Meadville Medical Center in Pittsburg, Pennsylvania. Dr. Ahmed also did post-graduate medical training in New York. Dr. Ahmed has extensive training & experience in Primary Care Medicine. He has 23 years of practice experience in Michigan and Georgia. He is Board Certified in Family Medicine. Some of his interests include chronic disease management and preventive care. 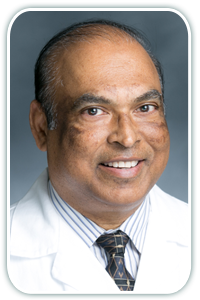 Some of the organizations that Dr. Ahmed belongs to are the American Medical Association, American Academy of Family Physicians, Medical Associations of Georgia, American College of Physician Executives, and Georgia Academy of Family Physicians. Dr. Ahmed lives in Gwinnett County with his wife and son. In his spare time he enjoys traveling and attending social and sporting activities. He is very much involved in Charity Healthcare in the Dekalb and Gwinnett County area.